It was a bright and sunny autumn day, noticeably cooler than in recent weeks. 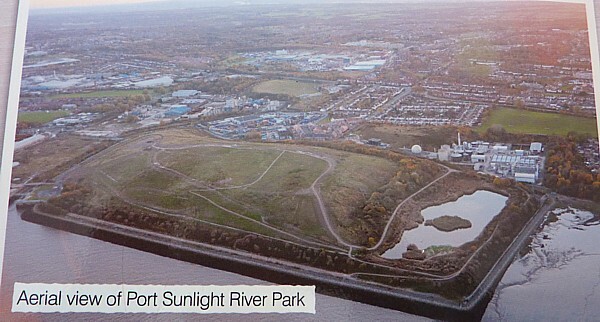 The new Port Sunlight Riverside Park lies between Bromborough Pool and New Ferry, on the south bank of the Mersey. 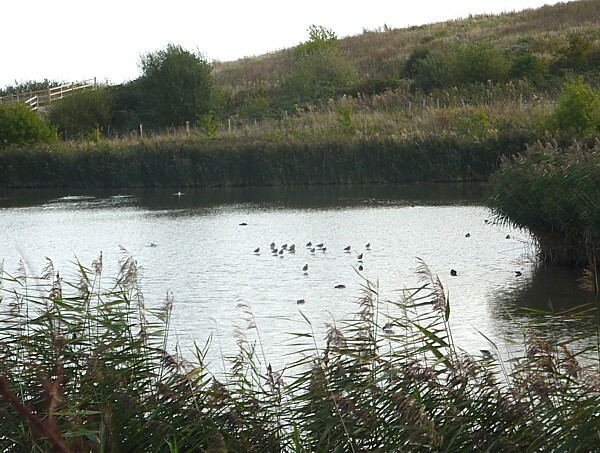 The explanatory sign said it is on the site of the Bromborough Dock landfill site, which operated from 1995 to 2006. The waste built up into a 37 metre high mound, and at the end of operations it was encased in a high-density polyethylene geomembrane, then covered in engineered clay and a layer of soil. 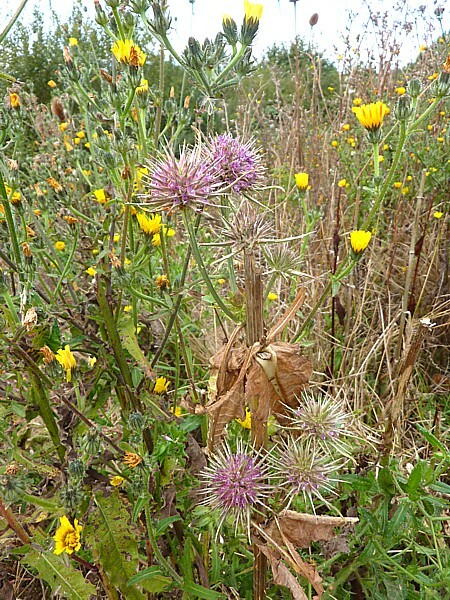 Nature has been allowed to take a hold and over the coming years more vegetation will grow, forming a new woodland on the south side of the mound. 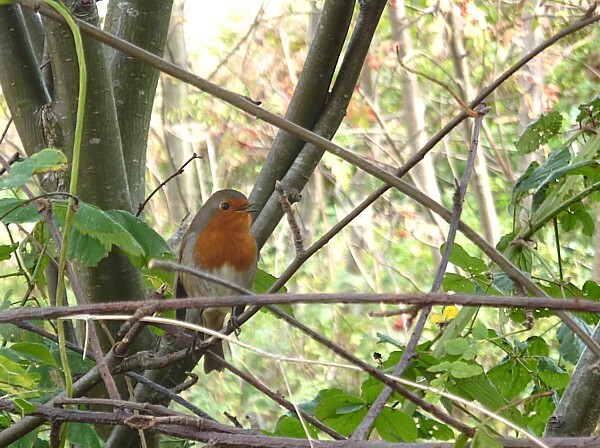 One Jay flew over, a Kestrel hovered near the summit, there was a big flock of Goldfinches amongst the seed heads and a Robin was chattering in a hedge, quite close to us, very bold and relaxed. 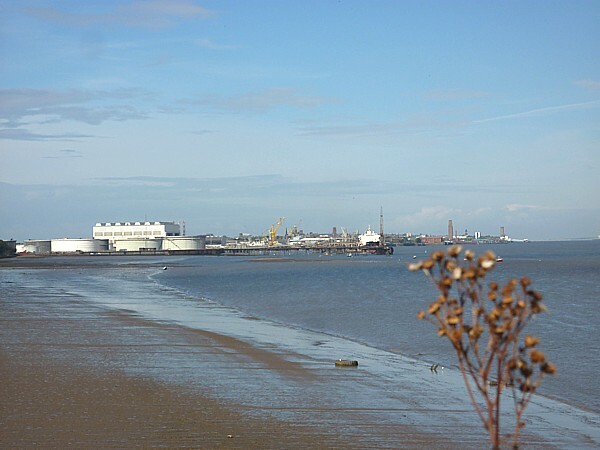 There are wonderful views from the top, as far south as Garston and Speke airport tower, right across Liverpool and out to the river mouth. 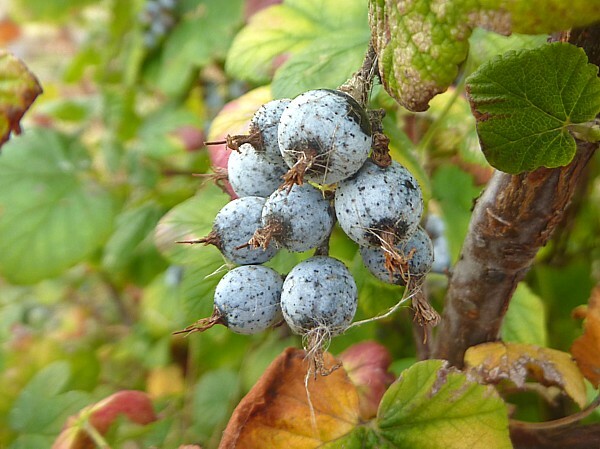 On the way down we spotted this shrub with weird-looking cloudy blue/white berries. Both fruits and leaves reminded us of Blackcurrants. It’s the ornamental Flowering Currant, Ribes sanguineum, native to the US West Coast. 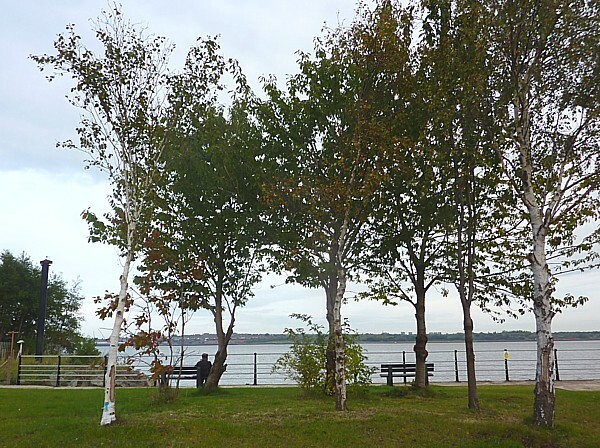 We lunched in the sunshine by the riverside then set off north on Mersey View Walk to look at the lake. On the north east corner the path overlooks Rock Ferry shore, where there were Redshanks, an Oystercatcher, a Curlew, some Lesser Black-backed Gulls, Black-headed Gulls and a Shelduck. 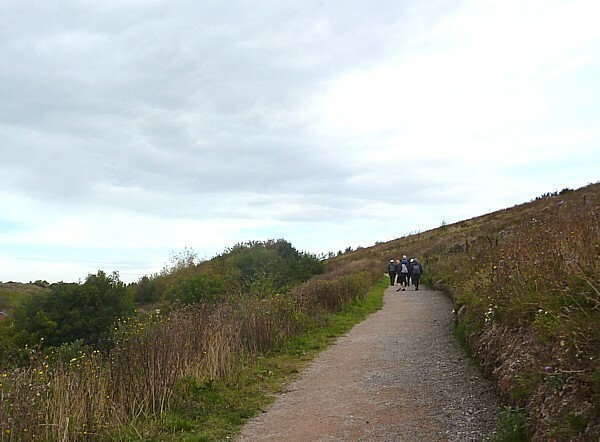 There are steps down, which probably join up to Rock Park, a route which we might investigate another day. On the lake were Gadwall, Moorhen, Shoveler, a Mute Swan, a Snipe and over a dozen Black-tailed Godwits. Alongside the path along the southern edge there was a climbing plant twining around a wild rose stem, with bright red berries. 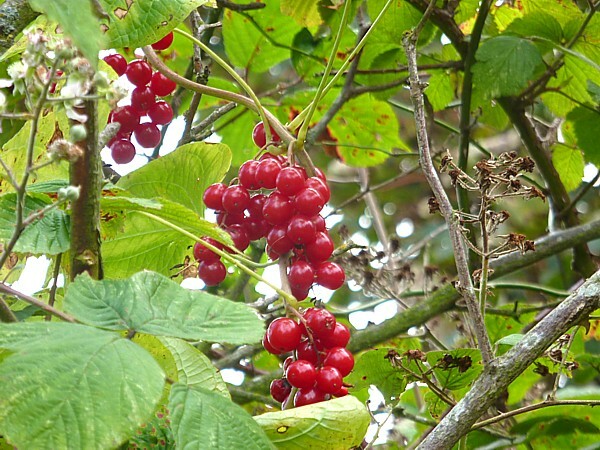 It was the poisonous Black Bryony. 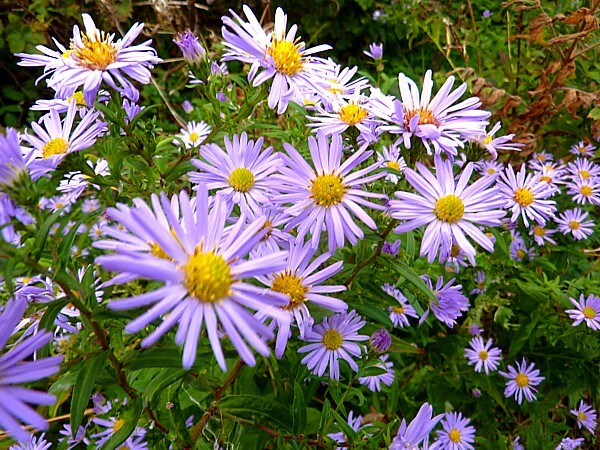 There was a late bee on one of the massed clumps of Michaelmas Daisies, and a single Large White Butterfly near some flowers of Purple Toadflax. Public transport details: Number 1 bus from Sir Thomas Street at 10.23 (the Chester bus), arriving New Chester Road / Shore Drive 10.55. Returned on 41A bus at 1.54 from New Chester Road / Shore Drive to Birkenhead bus station. Some of us were going to the Vintage Bus and Tram display at Woodside, but two of us went to Conway Park for the 14.24 train to Liverpool Central.